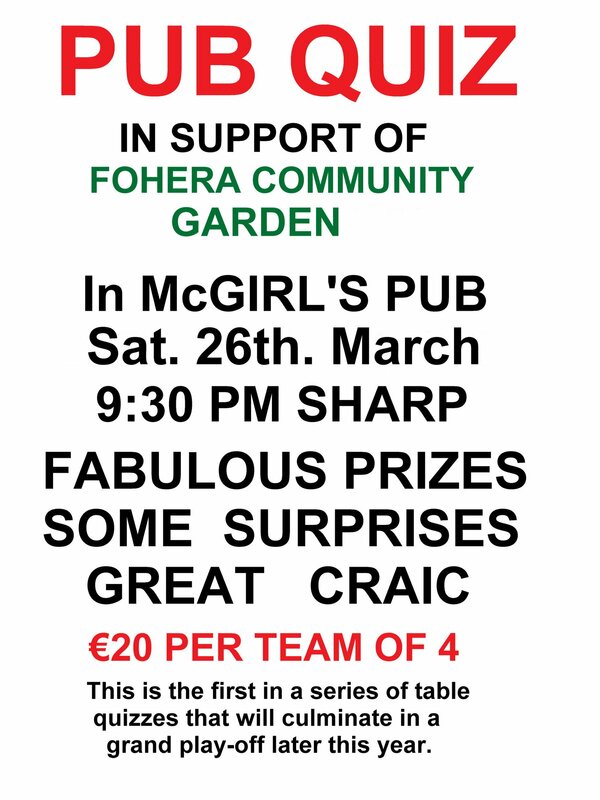 There will be a pub quiz this Saturday 26th of March at 9.30pm sharp in McGirls’ Bar, Ballinamore, in aid of Fohera Community Garden. 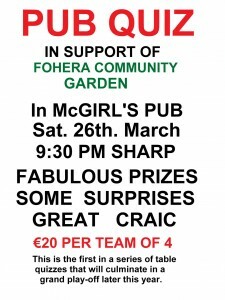 Fabulous prizes, some surprises and great craic…. This is the first in a series of table quizzes, that will culminate in a grand play-off later this year. This entry was posted in Events and tagged pub quiz. Bookmark the permalink. Post a comment or leave a trackback: Trackback URL.